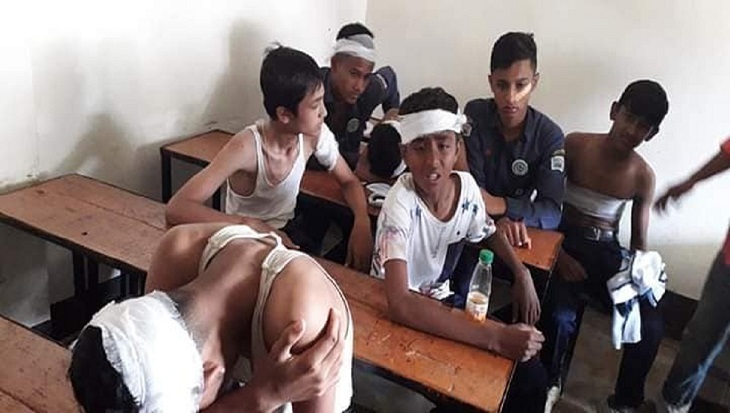 At least 20 students were injured in a clash involving students of three schools over playing flute during the Independence Day programme at Sheikh Russel Mini Stadium in Bahubal upazila of Habiganj on Tuesday, reports UNB. Witnesses said the students of Hope International School and Sunshine Pre-cadet School were playing flute as they won several prizes in competitions arranged on the occasion. Agitated at the celebrations, some students of Dinnath Govt School locked into an argument with them. At one stage, they started hurling stones at each other that lasted for half an hour, leaving 20 from the both sides injured. Later, Upazila Nirbahi Officer Jasim Uddin and police rushed in and controlled the situation. The injured were taken to hospital for treatment, said the UNO.